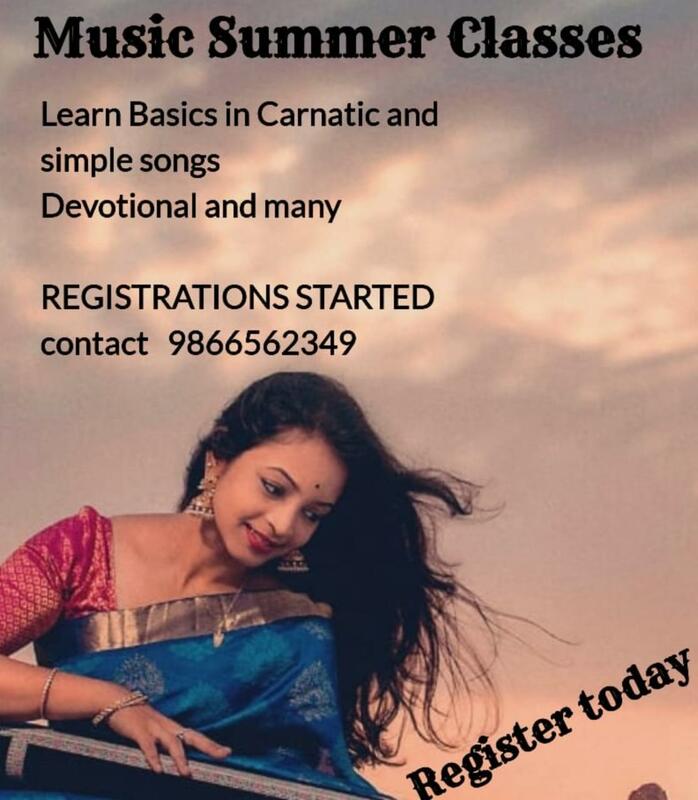 Learn basics in Carnatic music, simple songs, devotional and many by Nikhita Srivalli. Date: 22nd april to 20th may 2019. Note: Localwire doesn't hold any responsibility for the event in case cancellation or modification, Oraganisers are liable and subject to answerable.